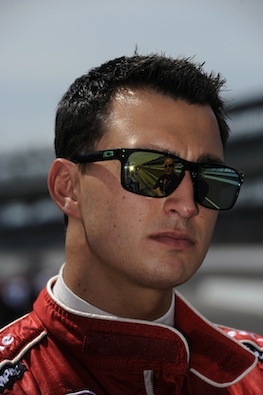 INDIANAPOLIS – Graham Rahal has a picture in his mind’s-eye of the final few laps of Sunday’s Indianapolis 500. In his vision, he and Marco Andretti are racing for what would be a historic and much-talked-about victory, no matter which way it turned out. “I think that it would do incredible things for this sport,’’ Graham said. “As much as I’d hate to see an Andretti win this race again, it would be really good for the sport. The family rivalry at Indy goes back a very long way. If Rahal wins, he would join his father, Bobby, who won in 1985, as an Indy champion. Should Andretti win, it would end the decades-old family curse that has has put the phrase “Andretti Luck’’ into the Indy lexicon. Marco agrees with Rahal that a win by either one of them could bring some much-needed attention to the IZOD IndyCar Series. And he has no worries about that so-called family curse. “Our family has a win here,’’ Marco noted. “We haven’t been terribly unlucky. Yeah, this place owes my father a few, for sure. That’s why Indy’s so special. If I’m able to conquer this, it would mean so much more to me. Andretti will start fourth, the inside of the second of 11 three-car rows. Rahal will take the green flag from 12th, the outside of the fourth row. 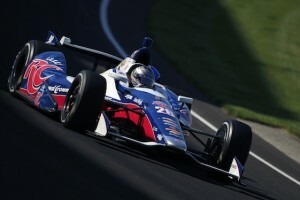 “There are a lot of veterans in this race and, to a certain extent, people just write us off,’’ said Rahal, who finished third here last year – by far his best performance in four Indy starts. “But what they have to remember is that I’m just 23 years old and Marco is 26. I’m not going anywhere any time soon and neither is Marco. One thing he would love to learn Sunday is the way to Victory Circle. Beating Marco there would be something to savor. Their rivalry dates back to when both were teen-agers just getting started up the racing ladder. Andretti, who was runner-up here as a rookie in 2006 and also has two third-place finishes, has had a strong month here so far and may have an edge over Rahal on Sunday. “I’m very confident going into this race,’’ said Marco. “We know what it takes to win this race. It takes a lot of luck as well. 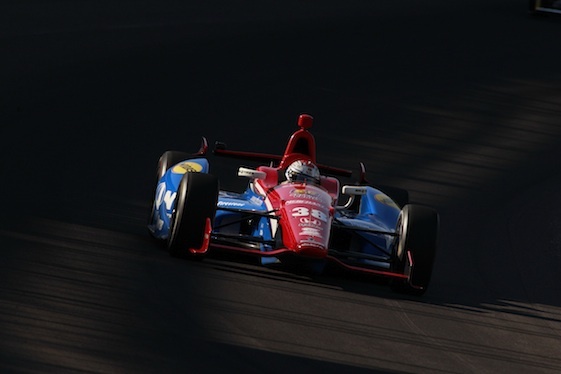 But Andretti winning is not the way Rahal envisions the finish on Sunday. “When I picture it, we’re racing each other hard and I win every time,’’ Rahal said, grinning.